Hi! It's our 2nd cruise with Silversea. Did Istanbul circuit with Silver Spirit before it was expanded. Cruise Director was Moss. Great cruise; fine ship. Done a couple small ship ocean cruises and half a dozen river cruises. For Alaska where we'll need to pack more footwear and outerwear, I'm glad to only have to pack a sports jacket. Excited about the excursions and checking out the ship. Wife vetoed my zipline excursion. Looking at excursions it seems that Ketchikan has all the best tours. 15 August Seward to Vancouver. Hope we don't have a formal night either as pre cruise Denali will mean full suitcases. AAA also offers foreign currency. Got 4 different currencies for Viking Homeland cruise. Put small bills from each in separate labeled envelop which I kept in cabin safe. 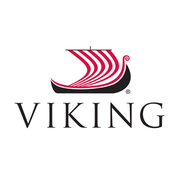 Viking does not exchange currencies but they will make Euros change from bills if they have coins which mostly they do. Viking Homelands - Recommended Excursions? Some rain in Norway, which was expected, but it was light misty rain and of no problem. It was warm and nice everywhere throughout the cruise. Several guides said spring was 2 weeks late in the Baltic that late May of 2017. Worst weather on Med Odyssey cruise late October in Venice & Northern Italy, 3 days of rain, some quite heavy. Still had a great time. Looking forward to your posting details. Taking Silversea pre cruise Denali tour & then Anchorage to Vancouver with different logistics. Cruise boards Anchorage 15 August. Reservations open up in 5 days. Cruising with travel friends. All vets of Silver Spirit pre stretch. So many choices. This cannot be emphasized enough. A contract consists of an Offer and an Acceptance. The invoice is the offer. Your payment is the acceptance...of the contract. NOTHING exists outside of the documented contract. * This pretty much applies to everything in the Uniform Commercial Code of law in the US. * possible exception of an email or letter from Viking delineating an exception, but only in your favor as you have not agreed to such email, etc. Research flights. Give preferences to TA. Buy custom Air. Have TA work with Viking custom Air with your preferences. Gotta pay in full to get ticketed. I've also gone direct to the airline myself to upgrade. It depends. Silver Spirits package, if you're big into cocktails and or specialty wines. I find a la care far less expensive. Your OBC works for all your a la carte beverage buys at checkout. Optional excursions, a good value in my opinion. Getting your laundry done by Viking. Not very expensive, but free is better. MAYBE for paying ship crew tips at the end. Not sure about this on River but I believe so. Works on Ocean. FWIW, MO last October had us there at 8AM and leaving at 6PM, which we did. It was the only port we had to tender in/out although it was easy. Small dock. Other MO cruises have won the dock lottery. We're the ship out at sea off Monaco. Taken @ Exotic Gardens...great overlooks. Note that the dead fish is only on one side of the world cafe not on both. Same with gelato. WC is asymmetrical. Good idea but not possible. For some reason Viking has changed the sailing such that we do not get to the port until Saturday afternoon. Question: Monet's Garden by Bicycle Looks like an easy ride along the river. Wife concerned that bike ride will take away substantive tome at Monet's vs taking the Included (bus) tour. Is this so? Considering paying $ to take the 4 hour Optional La Roche-Guyon tour instead of the included short 90 minute Château Gaillard walking tour. How much of the 4 hours is bus ride? Is the tour worth the $? We have no issues walking up hills etc.